Here at the Group Real Estate we look towards a few things as agents for you, the consumer. The Snake River MLS can be a difficult place to look for homes for sale here in Idaho Falls. Homes for sale in Idaho Falls are starting to truly come to fruition. Idaho Falls is starting to boom with the production of more land development, builders coming in and making room to build homes, rentals, and places for retail spots. If you are truly looking to get into buying a home or looking for a place to start in buying a new home, building a new home or getting a place to rent out, the Group Real Estate is the place to start. We pride ourselves on working solely for the consumer, making sure that they are getting the best home that is for them. As we move forward with the New Year, this is the perfect time for you to look into getting a home, buying a home, or truly utilizing a rental property, or two. According to Zillow.com (a great place to start in looking at homes for sale, looking for the right agent – by searching for the many we have here at The Group Real Estate) the internet is the main stay place that people, especially in the millennial mindset, age and locale will go to, and utilize, to educate themselves with the home buying process and more than half of those millennials will go through and look at different reviews on each of the agents, before they eventually choose an agent. Reliable content, through social media, blogging and getting yourself out there, especially reviewed is extremely important on the agents side, as the millennial mindset in today’s world will take them directly to getting online for reviews and places to look, or at least start looking, when they want to buy a house. There are many tools that can be utilized when trying to look for your new home to buy. Going to these many websites will be the best start. Come make sure you are looking at our website, over at idahomefinder.com, where you will see all of our blogs, you will see who our agents are, you will be able to look at all their listings. Now, beyond that you can look at the Snake River MLS website to see local homes that are for sale and read to be bought, you can go to Trullio and take a look there, but the next best place, aside from our website, is to go over to Zillow.com and look there. 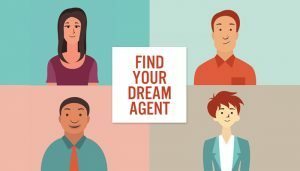 You will be able to find the right agent for you, as well. One of the many ideals that sets our agents a apart from all the others out there, in the Idaho Falls area, is we are completely committed to your specific needs. 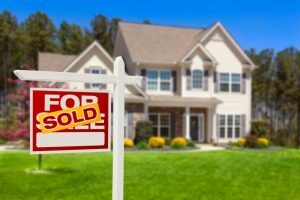 When you are looking for homes for sale in Idaho Falls, we specialize in the notion of finding the specific home that is for you. For you. Not any specific home for sale, but one that will specificlally suit all of your needs, that truly fit you and your family’s needs. This is what you would love to see when going forward with buying your first ever home. Or if you are moving forward with moving to a different home, we are still here to get you into the home that is specifically for you. Creating the best new home buyer programs and presentations will be the best part of the process that we will put together as agents, as The Group Real Estate, to make sure that we can get you the best deal. As you look into buying a new home, let us be the place that helps you out. Let us help you as you make one of the biggest, and best, decisions of your whole life.